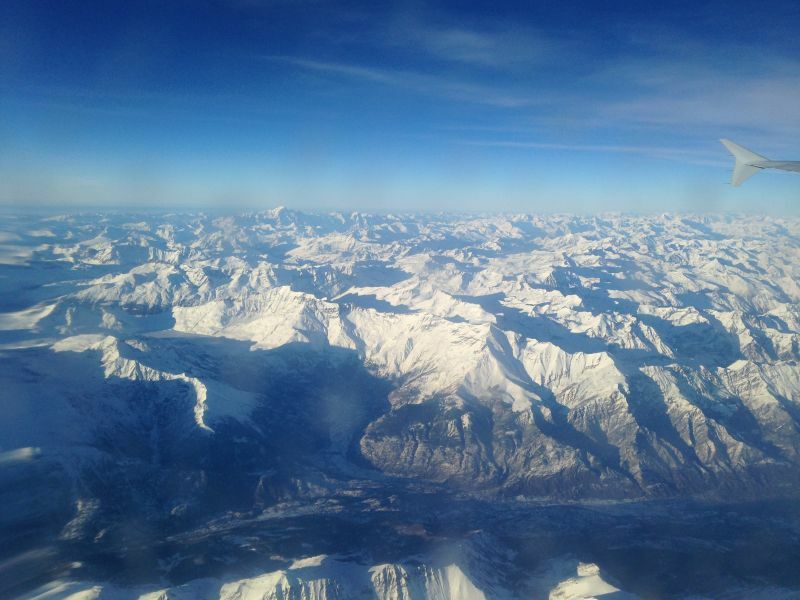 It's always an amazing sight overflying the Alps within the winter season. 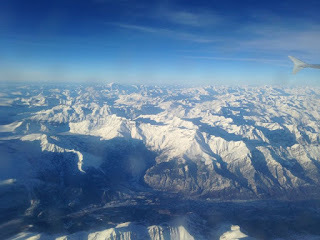 These photos were taken during the outgoing leg on a roundtrip to Milan/Malpensa Airport. 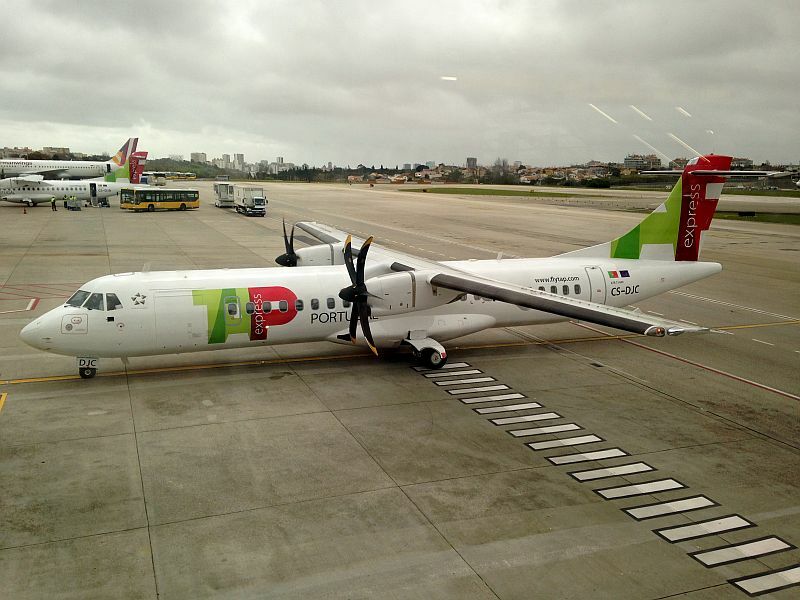 Aircraft was the A320 CS-TNT named "Rafael Bordalo Pinheiro". 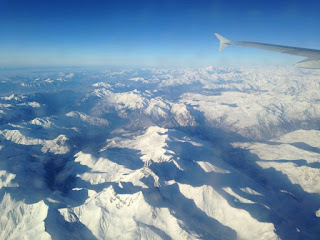 And now, during our approach to Malpensa with the Alps on the background. Turnaround time with airBaltic and Finnair as our "neighbours". 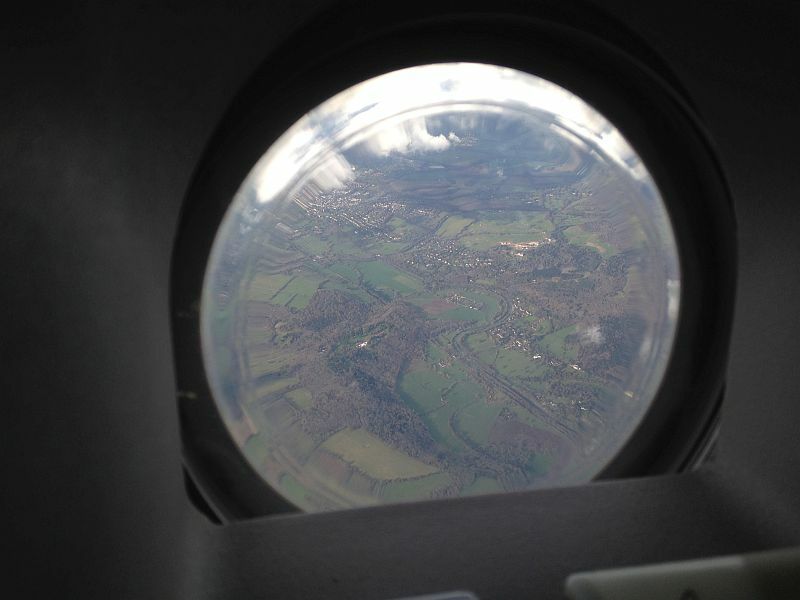 Let's have an insight to a couple of recent roundtrips! 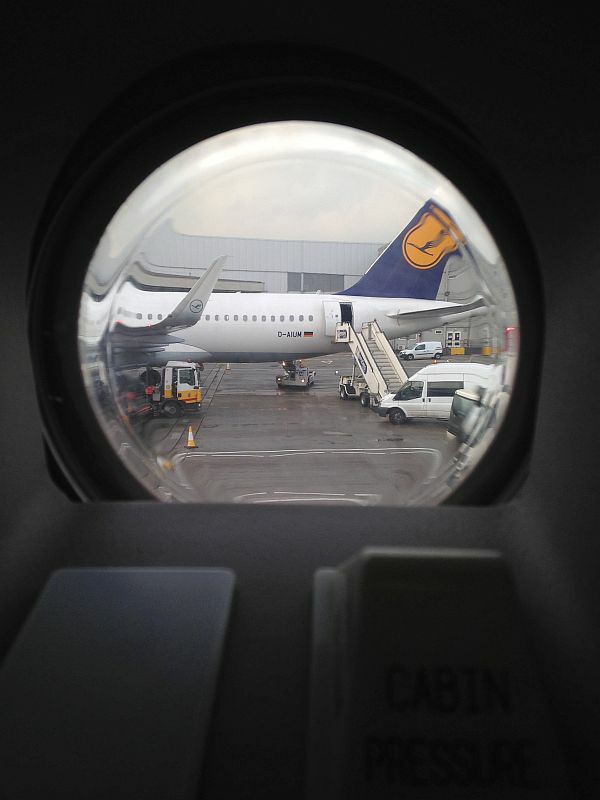 The week started with a roundtrip to London/Heathrow which is my favorite European airport in terms of air traffic. It's always a great opportunity to watch impressive aircraft that come from all points of the world map. 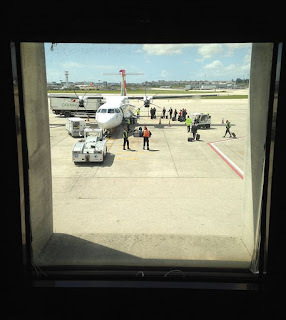 But even before proceeding to the aircraft I took a peek of this TAP's ATR72 through the window of our briefing room, at Lisbon Airport. Then the usual routine followed, as well as the recurrent holding procedure to land at the congested Heathrow airport. I don't have many photos of the aircraft movement I had the pleasure to watch at LHR. But I can tell about a Boeing 767 from Air Canada, a 737 Classic from LOT, a British Airways 747, some 787s, a couple of private (unidentified) 777s, a Korean A380, etc, etc. 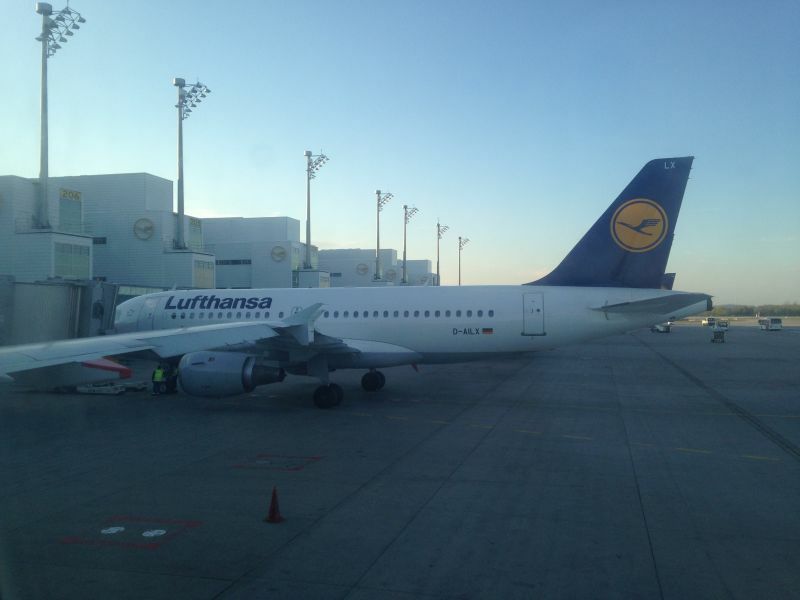 Near us it was parked a regular A320 from Lufthansa with sharklets installed. 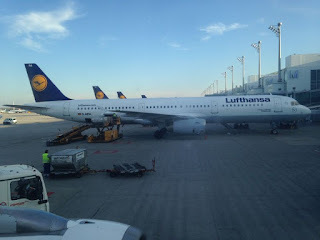 The next day it was time to go to Munich Airport/Franz Josef Strauss. I usually appreciate these roundtrips to Germany because the typical passengers of these flights are very easy to deal with. They bring few hand luggage (no problems with overloaded bins) and they seem to be familiar with air travel and comply with basic rules without having to alert them. However, our flight back to Lisbon was a little bit different from this standard. I'll tell why later! 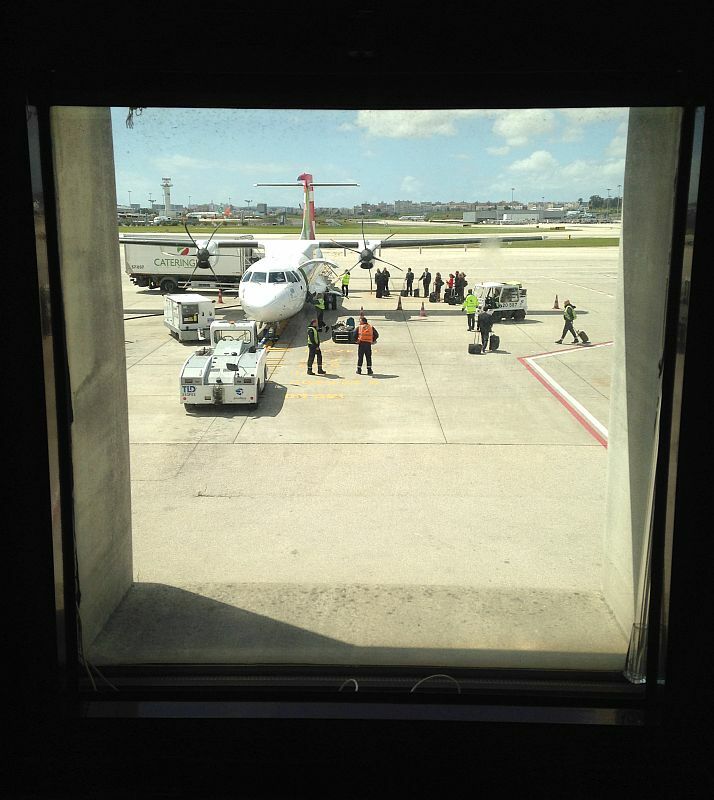 Our aircraft, the A321 CS-TJG, arrived a little bit delayed from the previous flight. 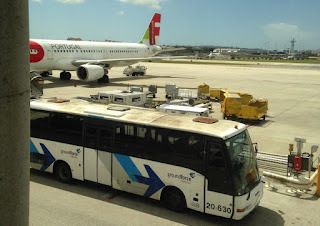 It parked close to our crew terminal at Lisbon airport. 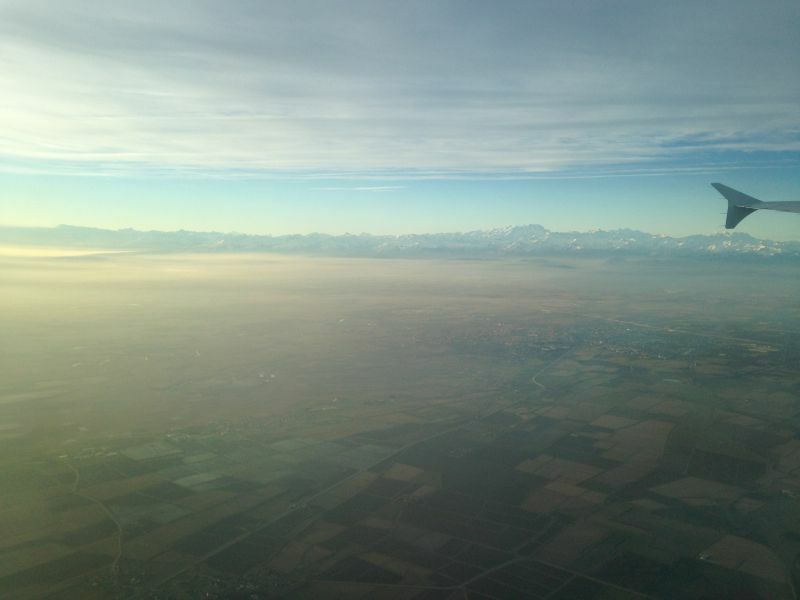 The flight to Munich was an absolutely smooth one. 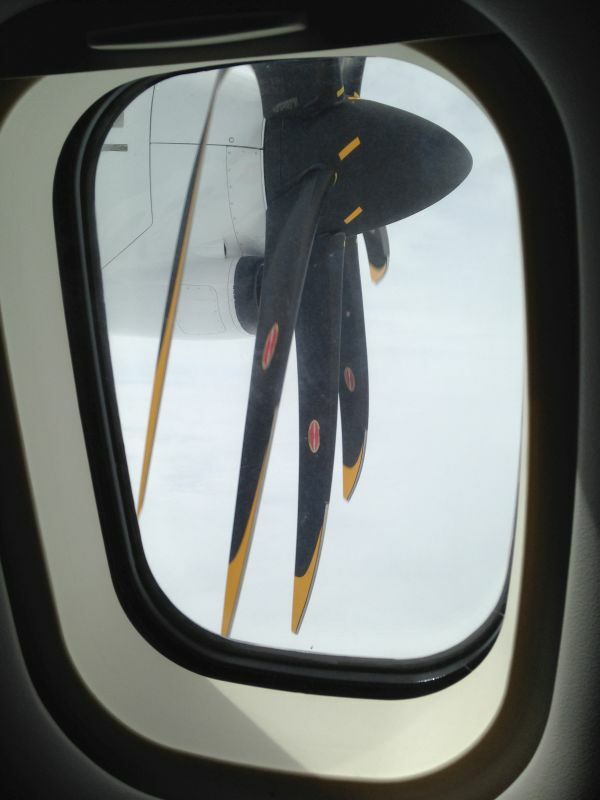 It was also very fast due to strong tail wind. 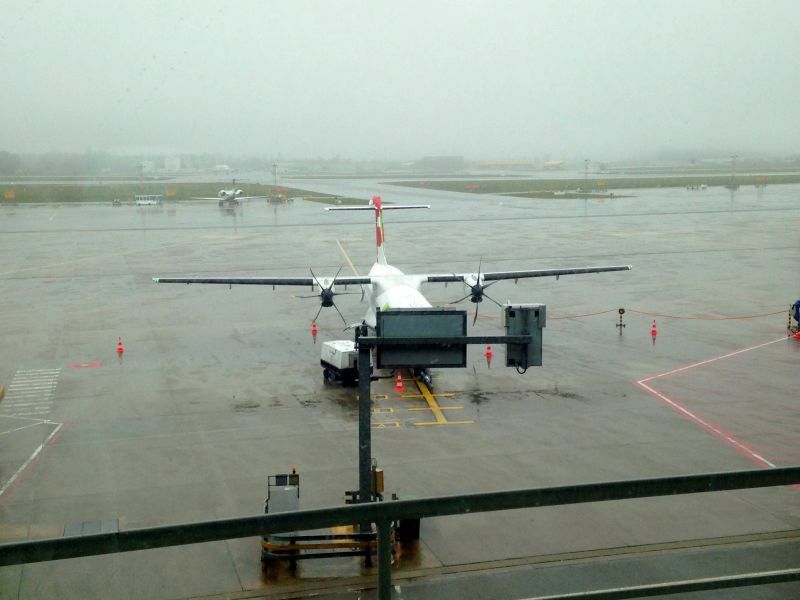 Contrary to Heathrow, you do not see the same variety of airlines at Munich Airport. In fact, MUC is the second "kingdom" of Lufthansa in Germany. As a curiosity, the name of this Lufthansa A321 is "Finkenwerder", the name of the airport in Hamburg, where Airbus has a final assembly line for all models of the A320 family and where the same aircraft (plus the A380) get their cabin interiors fitted and are also painted. 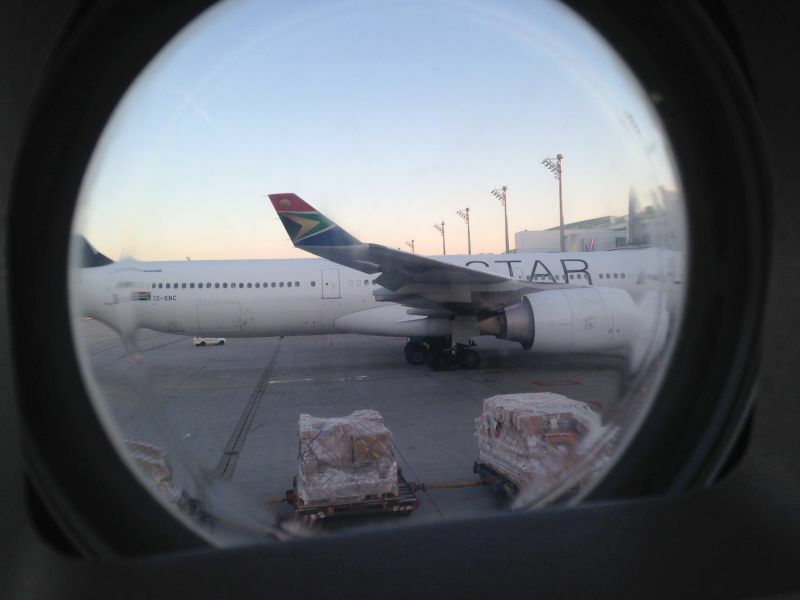 During our turnaround time, the A321 was pushed back for its departure and later an amazing A340-600 from South African Airways came in. The flight back to Lisbon was almost complete and many of the passengers were Bayern Munich's supporters that were going to watch live the Champions League's game opposing their club and SL Benfica, on the quarter-finals of the competion. That's why this time we had a little bit more work. Not a single beer can of our catering survived intact to this flight! Also, the flight time was almost one hour (!) longer due to the tail wind. But in the end everyone was happy! 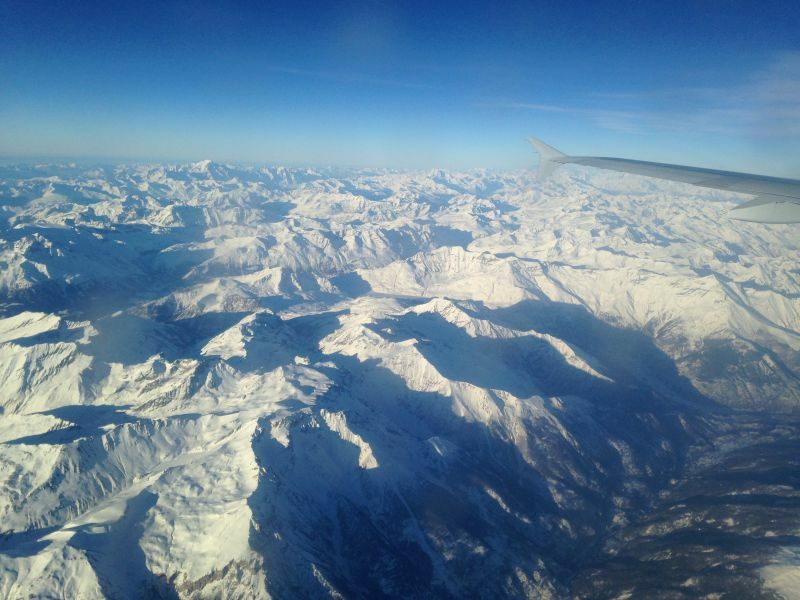 After a long period on the long haul flight, it feels good to be back on the European routes! 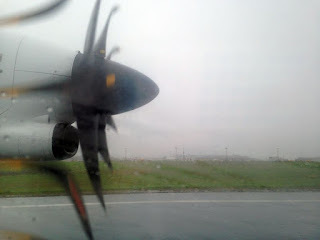 It was not a long time ago that I went to the airport, to the spot "behind the fences", to capture the arrival of the first ATR 72-600 for TAP Express. Last 27th March, the new air shuttle service between Lisbon and Porto - called Ponte Aérea - finally took off. 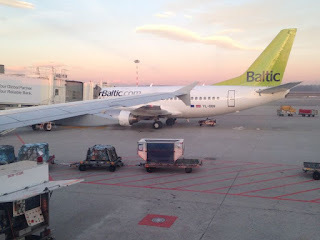 Although I was already making plans to try the new service I didn't expect to do it on the second day of its operation! In fact, I was challenged by a close friend to be at the airport as soon as possible and get a flight to see the new ATRs in action. Until then, my first and only experience flying on an ATR was almost 10 years ago, between Lisbon and Casablanca, a flight that was part of a memorable mission between Dakar and Brussels that has yet to be written. The aircraft was an ATR 42-300, with registration CN-RLF, operating for Regional Air Lines. 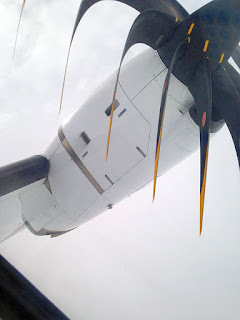 I clearly remember it had a really old appearence with cabin panels that turned yellow over time, some of them misaligned. It seems that this ATR was scrapped in 2011. The flight time of FN231 was roughly 1h45, part of it over a large extension of water. But now I was excited to know what an almost brand new -600 series would look like! 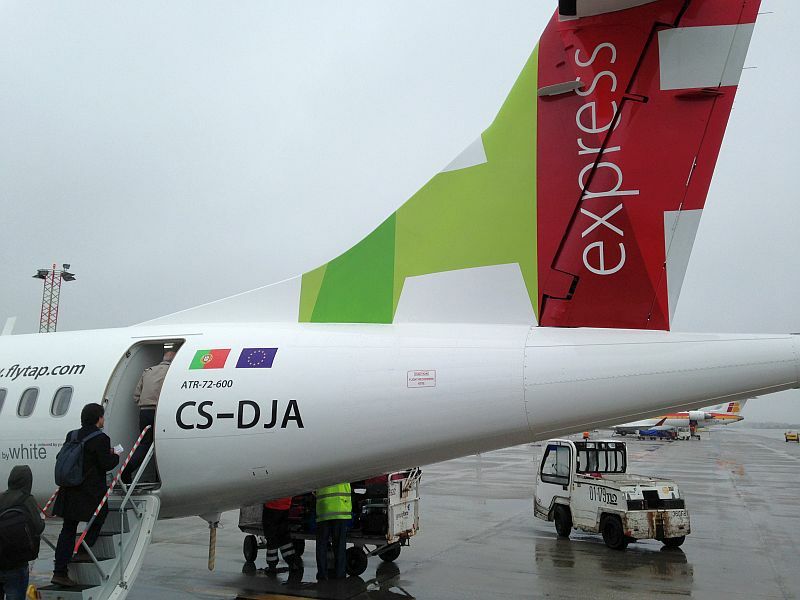 The "Ponte Aérea" service has dedicated check-in counters and a fast way for security control in Lisbon Airport. We got our boarding cards without delay and went to the boarding gate where our aircraft was arriving. 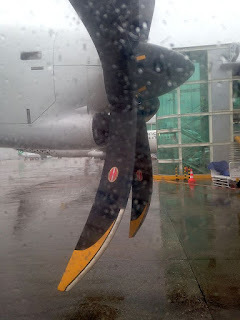 Initially I thought we would go on the ATR with registration CS-DJA which was parked in a more remote position. 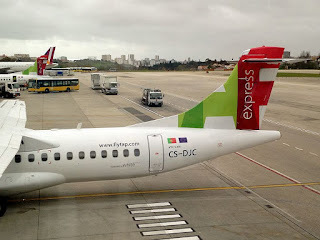 But suddenly I saw CS-DJC parking near our gate - for sure, it would be this one our aircraft! 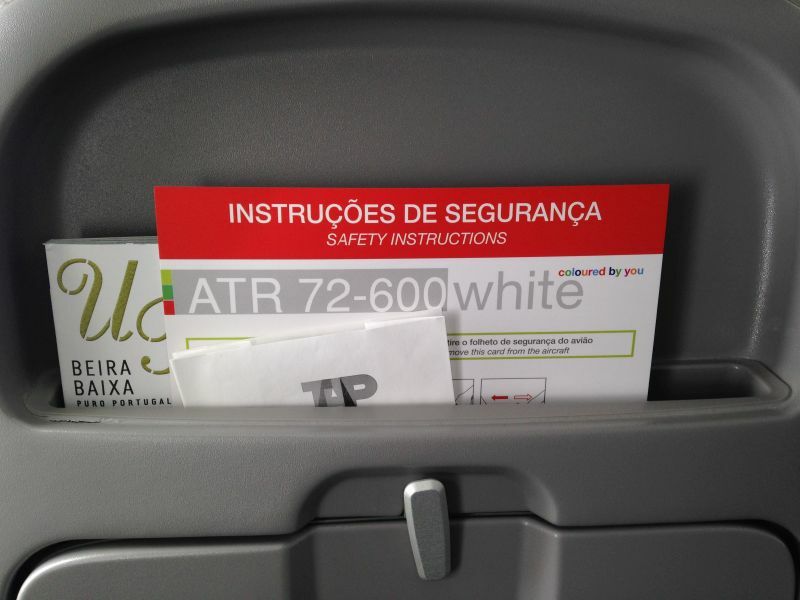 These new ATR 72s are operated by a third party airline - White Airways. 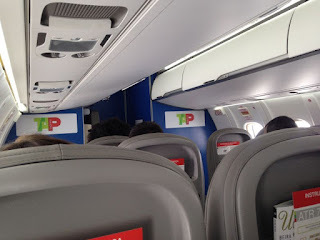 The history of this airline started in 2000 when TAP and the tour operator Agência Abreu founded Yes - Linhas Aéreas Charter for leisure flights to the Caribbean and to Brazil. In 2005, the airline was renamed and got an A310 from SATA Internacional that replaced the old and troublesome L-1011. 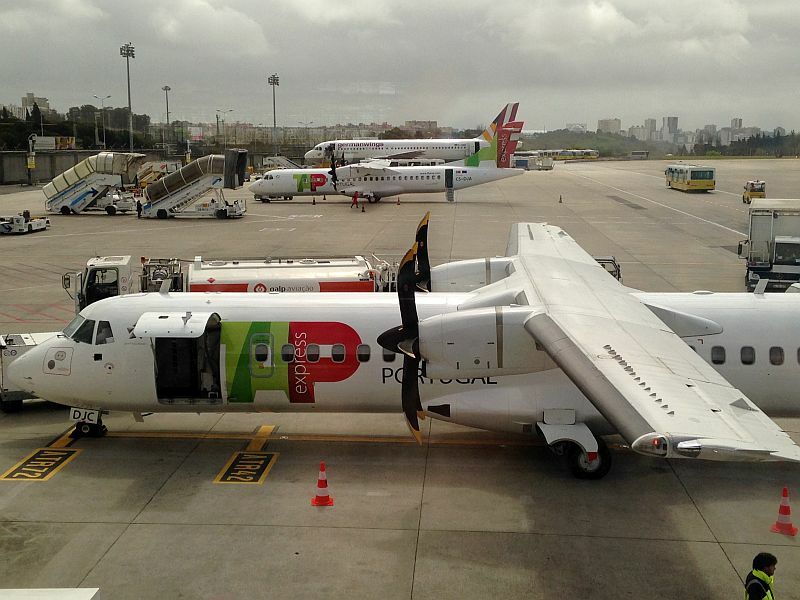 In 2006, it was sold to Omni Aviation Group which remains the owner of the airline. 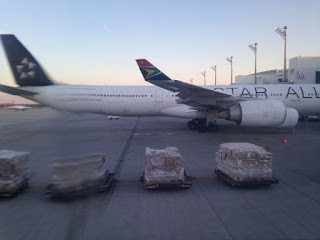 Some years ago I thought of buying a holiday package to fly again on the good old A310 but that never happened. 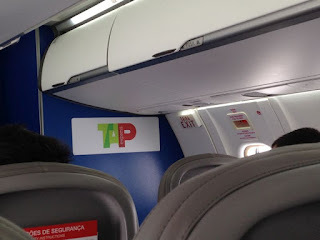 Although White Airways was already operating a pair of ATR 42s for TAP (under PGA brand) I didn't expect to finally fly this airline with their aircraft in TAP's livery! Soon it was time for the boarding start of flight TP1951. We were instructed by the ground to follow the crosswalk painted on the tarmac that would lead us straight to the rear door of the ATR. 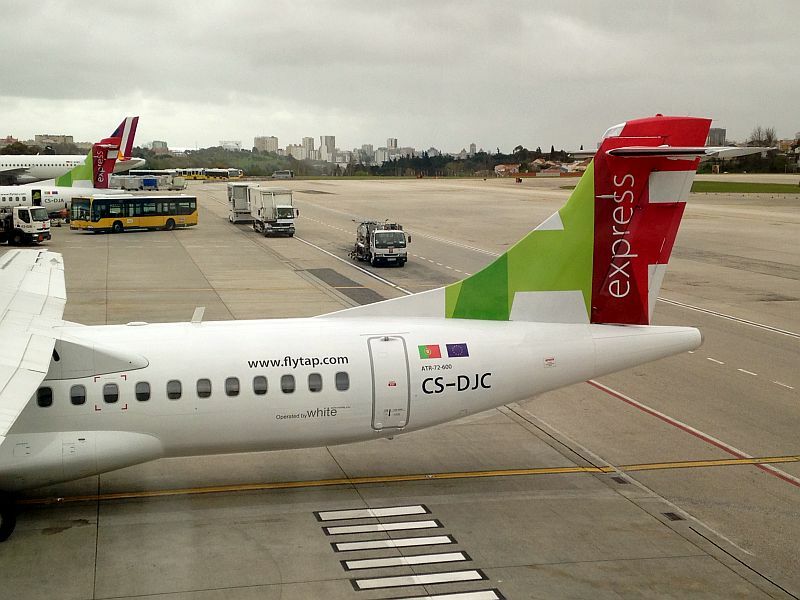 The rear door on the left side is equipped with an integral airstair, being the only one used for boarding. 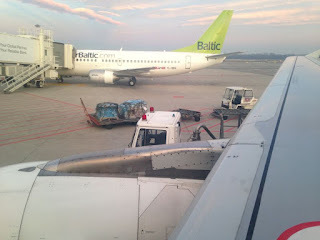 I got the seat 15C, an aisle seat (AB-CD) behind the trailing edge of the right wing. 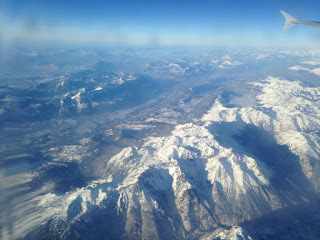 However, the occupation was far from its full capacity (70Y) and in the end the window seat next to me was available. As I always do every time I fly on a new type, I grabbed the safety card to check how to open the doors in case of emergency, even before the safety briefing was given by the crew. 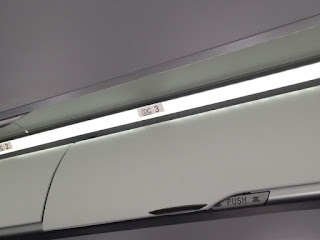 The ATR 72 has three different types of emergency exits: two windows in the front with a pretty standard actuation; the LH rear door with the integral airstair; and the simple RH rear door with a different opening mechanism. It was a completely different passengers' cabin that I found compared to that one of my previous ATR experience. Well, no surprise after all! 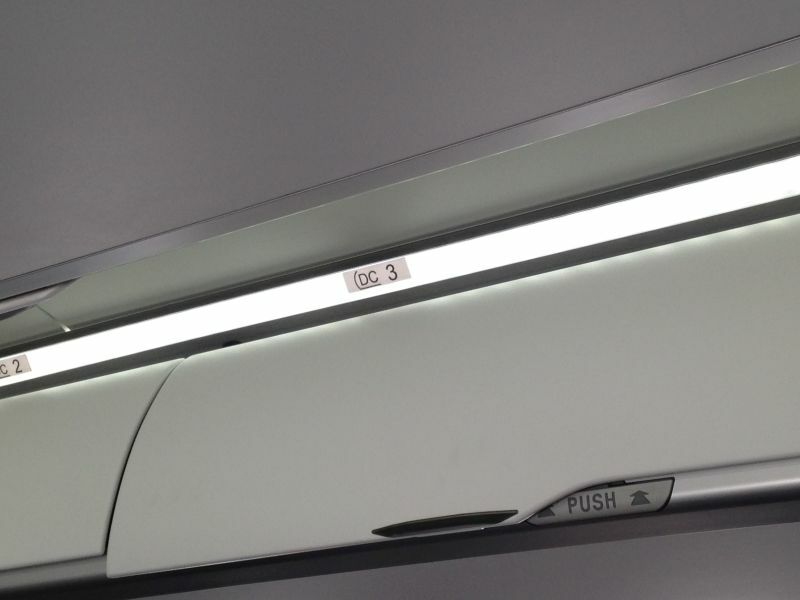 The totally new, fresh and clean interior design of the -600 series really make a difference! The "slimline" type seats were comfortable and even if this is a turboprop, I found the cabin very spacious with generous legroom. The cabin is wider than that of the Embraer 145 with a lot more stowage capacity in the overhead bins. 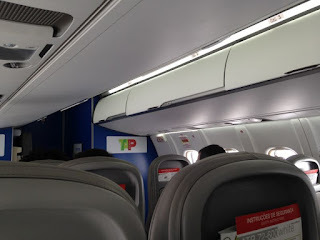 The cabin crew staff hired by White was using the same uniforms of TAP with the following differences: the female scarf has the "express" inscription and the male necktie has a red background instead of the dark blue of the mainline. 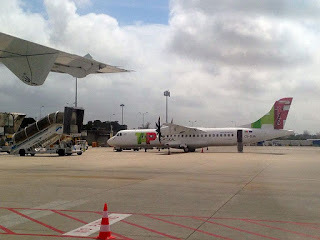 We took off from runway 21 for a one-hour flight to Porto. 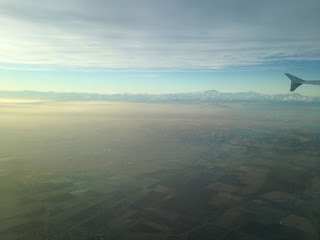 And, in fact, there is nothing special or different to tell about this flight from many others I did in the past on this route. 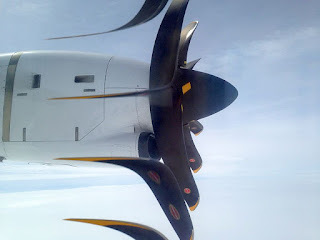 We could even forget that we are flying on a turboprop airplane. 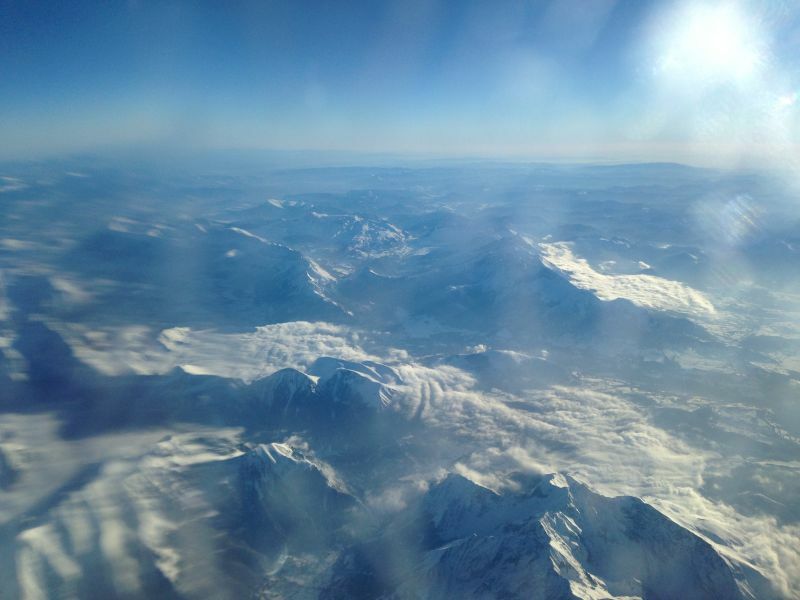 OK, the flight time may be slightly longer but without making a big difference. 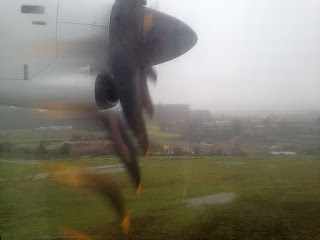 Beside, due to the active runway being RWY21, we took off heading south when we wanted to go north! When top of climb was reached we moved foward and occupied empty seats near the propellers. Then cabin crew started the new smoothie service on this route. There are different flavours available or if you just want a glass of still water, you can ask it to the cabin crew. And now it's time for some photos of the cabin! The blue bulkheads make us remember that these aircraft came from Azul Linhas Aéreas Brasileiras. For sure this is a bright and modern cabin! "DC 3" makes me remember the Dakota, the very first aircraft type flown by TAP, also driven by propellers, although TAP only operated the military versions C-47 and C-53 adapted for passenger service. The small galley where the carts are stowed is located at the rear end of the aircraft, behind the last row of the right side. Being seated near the propeller and using my smartphone to take photos resulted in some funny pictures with that weird effect that I also experience when flying light Cessna aircraft as a pilot. 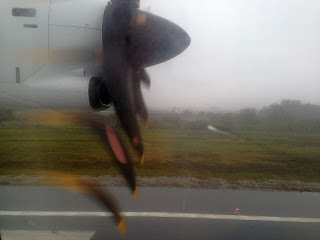 As this was a really short flight, we didn't have to wait too long to start our descent and find that the weather at our destination was miserable... 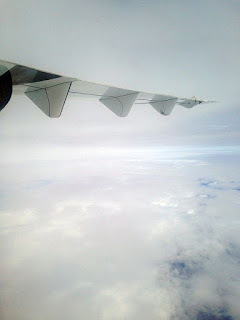 However, no turbulence was felt during our approach. We parked into our assigned position, the engines were stopped and soon the disembark was in progress ending the first part of this experimental trip! 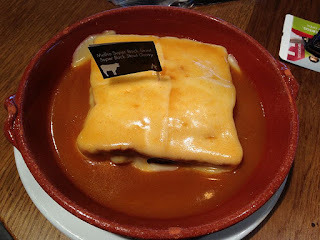 Without a great margin of time to go to the city before our return flight, we decided to have lunch at the airport, with the check-in already done. But at least we went for a typical francesinha from Porto! 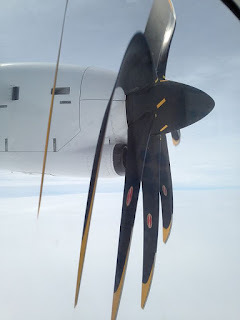 We were lucky with that fact that CS-DJA was assigned for TP1951 flight so we were able to fly both ATR 72s doing the air shuttle, on the same day! We saw the CS-DJA landing with the weather conditions getting worse. 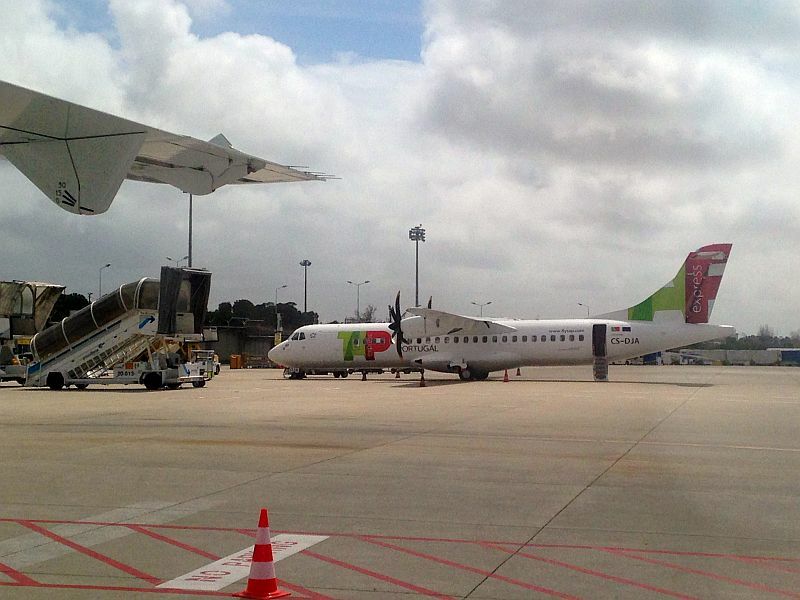 For a brief period, the two ATRs met together again, this time at Porto. For the return flight I got the seat 18B in the very last row of the aircraft. 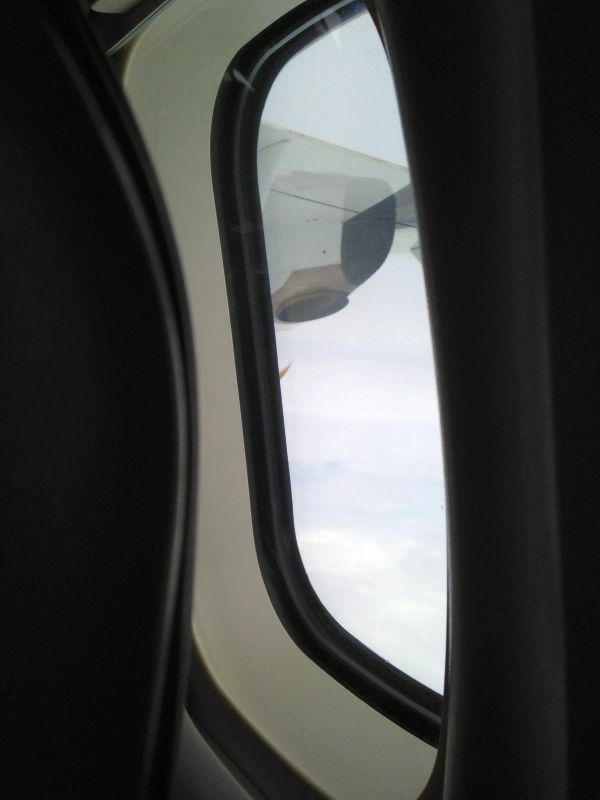 This time the flight was almost complete with a load factor over 90%. With both take-off and landing facing south, the flight time was shortened to 45 minutes. 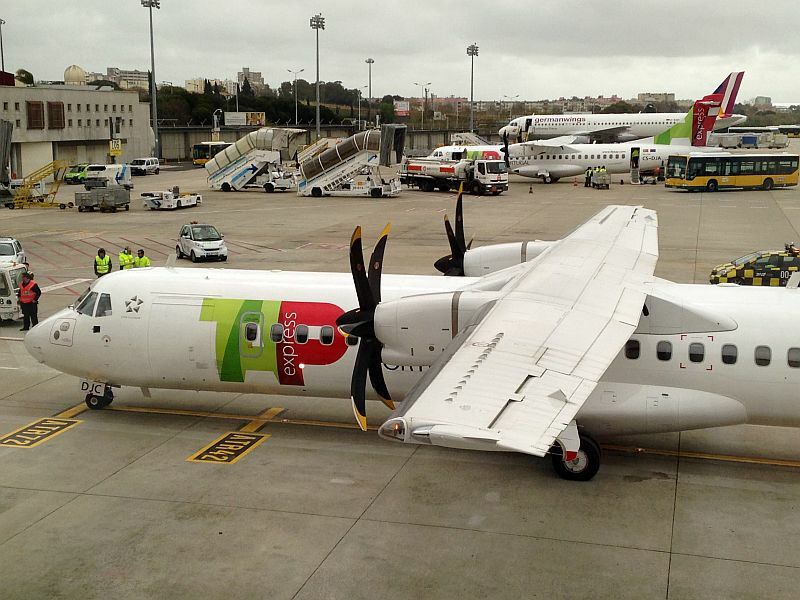 Overall, I think the ATR 72 is the perfect aircraft choice for these short flights and soon two more will join the air shuttle, providing TAP's passengers with a new and more flexible service between the two main cities of Portugal!